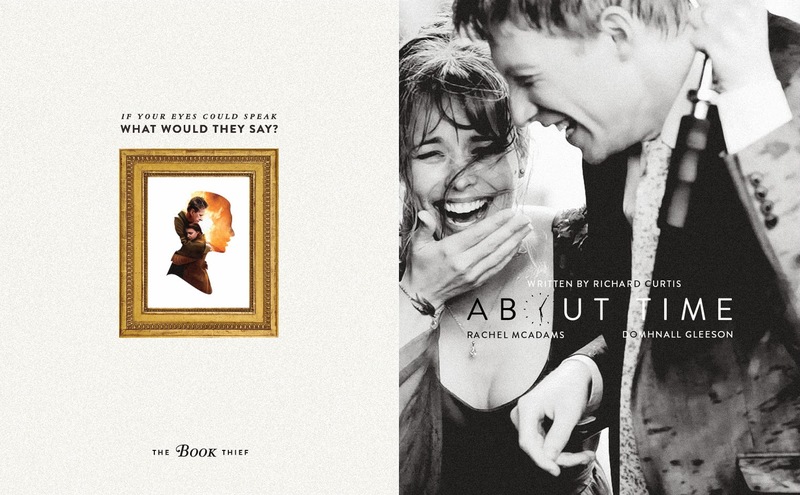 The Book Thief (2013) & About Time (2013 poster remake done by yours truly. Going to the movies alone is probably one of my most favorite therapeutic things in the world. I have a lot of pet peeves when it comes to watching movies (people talking, people chewing popcorn loudly, people clapping?? !, people giving unnecessarily loud comments, people talking on their cellphones! ughh) so going solo is practically perfect for me and I've been doing it regularly every week for the past two months! I didn't get to do this while I was in Singapore because the theatres were ALWAYS so crowded with teenagers (ugh) so it'd beat the purpose of going alone. Here in SF though, the cinemas don't get that many crowd on weekdays and IT IS SO PEACEFUL in there. It happened more than once that I got the whole theatre to myself which is pretty awesome. Goshhhh just the thought of going there every week got me really excited. For Seven Days - Coming Soon!